T.H. Brennen Fine Art in Scottsdale, AZ, is now showing my paintings. You can find them and other galleries on the contact page. Subscribe to my newsletter to receive an RSVP invitation for this off-site “open studio” in mid-March, 2019 – or inquire by emailing the studio. 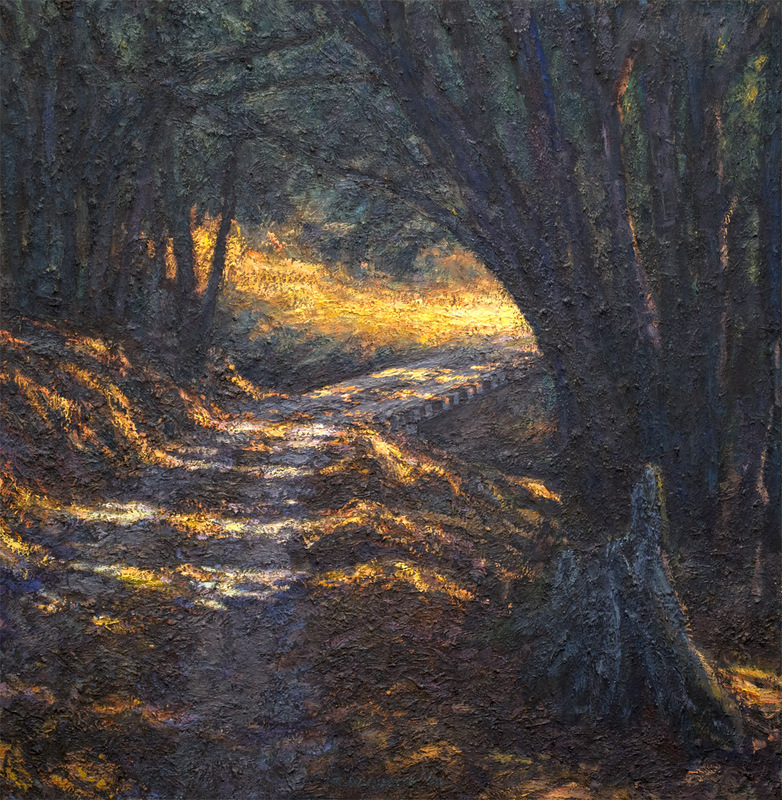 The Erie Art Museum recently received an addition to their permanent collection, Fox Creek Crossing [64 x 63 inches, shown here] from a private collector in Miami, FL, who owned the painting since 1990, when it was first shown at the Bass Museum of Art. 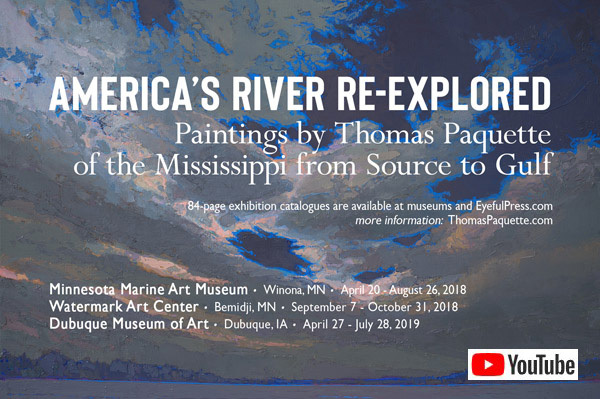 Three years in the making, this exhibition explores the nation’s most important river, from its beginning in northern forests of Minnesota to its finish at the Delta in the Gulf of Mexico. 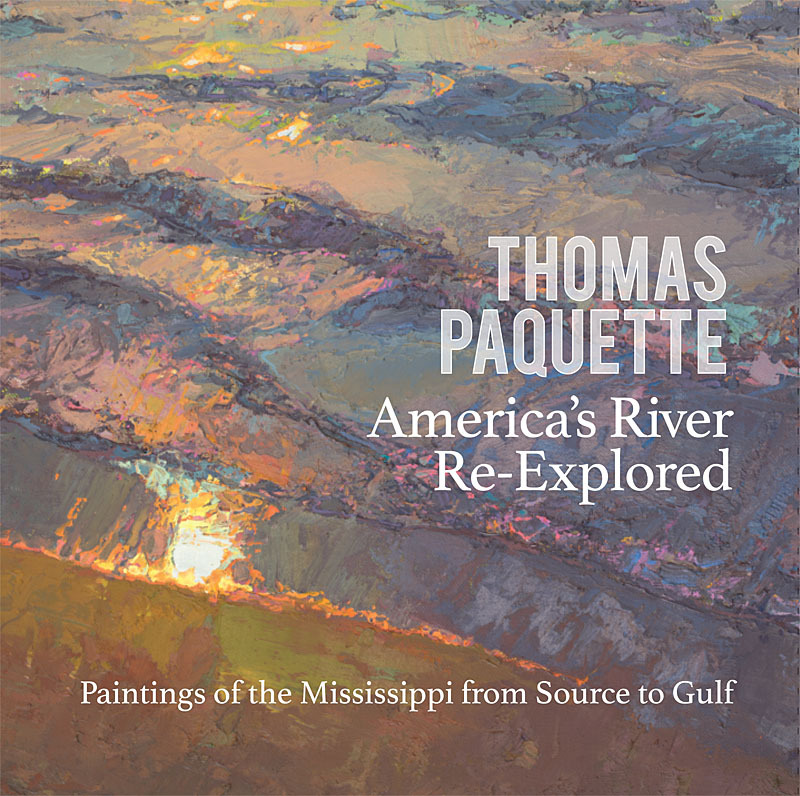 84-page catalogues featuring all the paintings are available through EyefulPress.com. See the Publications page (click here). See the paintings here. 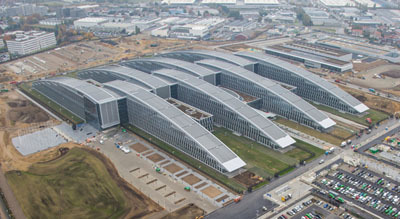 In 2018, the State Department acquired one of Paquette’s largest recent paintings, Headlands, for permanent installation at the breathtaking new NATO Headquarters in Brussels (shown in photo). 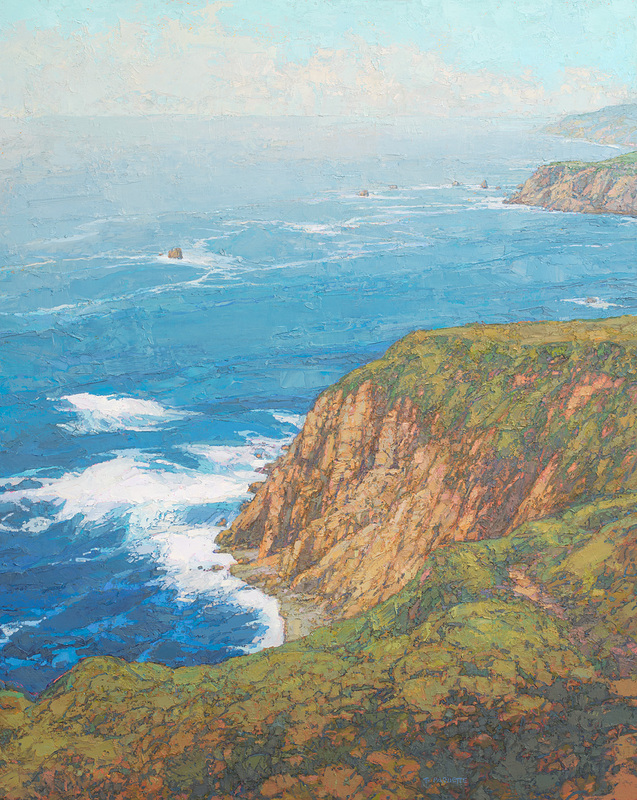 Headlands was created for Paquette’s solo museum exhibition about the nation’s wilderness areas, On Nature’s Terms.